Less Zooey, more game mechanics, you say? If I must. Cavenaut is a top-down exploratory adventure game which gives the player the boon of unlimited lives, but tracks how many times he or she has been humiliatingly killed by snakes, frogs and running into deadly bushes. There's no combat; well, no ability to fight stuff, as fights are one-sided and instantly terminal. 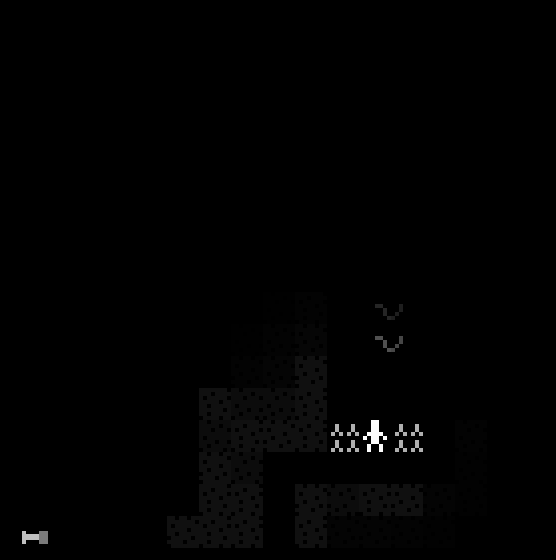 Instead the onus is placed on navigating deadly mazes of vertically-stabbing spikes (SO MANY!) and their serpentine sidekicks, and Cavenaut gets old-school difficult before too much time has passed. It's been a while since I had to put as much mental effort into dodging stabby things; some of the screens left me infuriated without dampening my need to beat the damn game! Cavenaut looks like a casual game, a bit of twitch-gaming fun that you could blast through in a few minutes, and it totally is not. 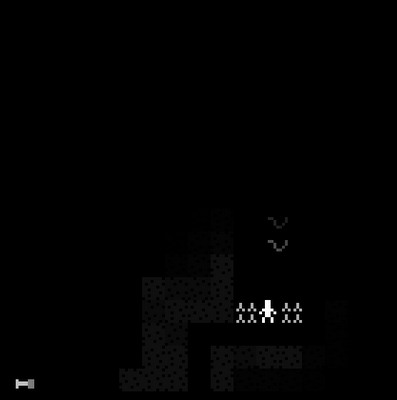 Quite early on in my first assault on this little monochrome mountain I thought I'd almost completed it, and then another hole in the ground opened up and I poured a load more of my time into it. Something that really grabs me about the presentation of the game is the disengage between the blocky, simple graphics and the atmospheric, textured soundtrack which shifts from rain soaked jungle ambience to samples of wind whining through caverns and a few more moody points in between. While at first I thought it was a bit jarring I began to love it, probably because the graphics make me expect crude, monotone bips and boops. The chunky, vague shapes of the cutscenes are pleasingly retro, echoing a much simpler take on classic platform adventure Another World before returning us to our Atari-esque top-down dungeoneering. Hidden treasures glitter in the darkness and subterranean rivers rush by, and the ambience of the game really is something special; right up there with the works of Locomalito, a designer renowned for being all about creating a planet's worth of atmosphere in each of his games. Cavenaut does hit a few stumbling blocks along the way. With unlimited lives this is a game that be not beaten but overpowered up to a point by constant suicide runs, but in fairness to the designers the amount of puzzles that could be successfully ran through while the player was in post-respawn invulnerability mode dropped off quite sharply part way through the game. As I've already mentioned, Cavenaut kept dragging me back into the game even after constant deaths at the hands of angry snakes and menacing spikes, and this to me is a great quality in such a game. Designer Bruno Marcos has put together a piece of work that is entirely fulfils its stated intention of paying tribute to the Atari 2600 and comes packing frustratingly addictive adventure gameplay. 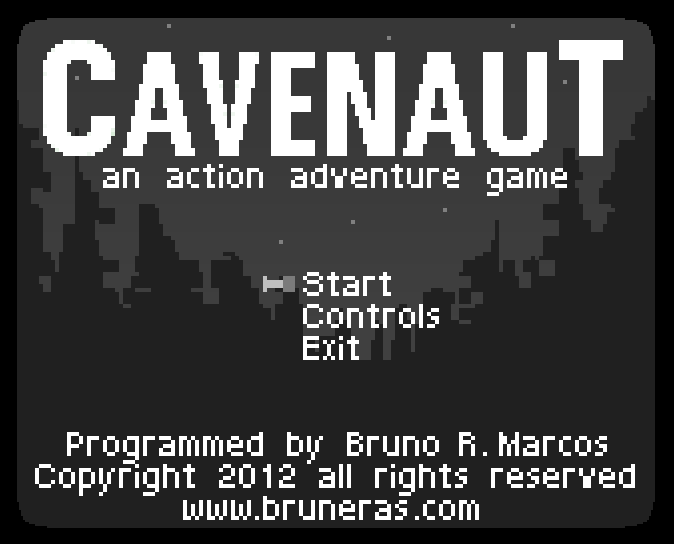 Contrary to Ruari's opinion, to me it's clear that Cavenaut is an Intellivision game. I'm not fooled by the monochrome. I spent too many days in my aunt's basement as a small child, buried in an unsorted pile of dozens of Intellivision cartridges. I read every manual, marveled at the voice in Space Spartans, and wasted a lot of youth with my tiny hands wrapped around that horrendous disc phone thing. 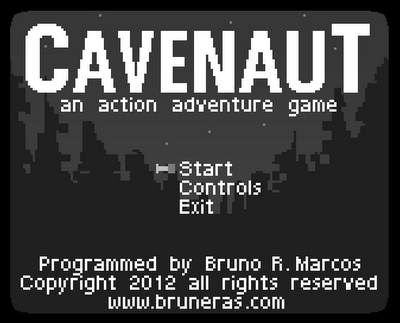 The moment I started Cavenaut, I could smell the cigarette stains of that dingy wood-paneled room right away. So why the sudden nostalgic whiplash? It wasn't the 'Blue Sky Rangers'-esque graphics or the ping pongy sound; plenty of retro games have this stuff, so that isn't it. I think it was the controls. That smooth yet blocky motion that hints of tile-based puzzles, the welcome stiffness and precision needed to carefully maneuver through all the deadliness, it felt like I was carefully using the disc all over again. If that was the authour's intention, then holy smokes what attention to detail! The rest of the game is just as thoughtfully crafted. With such a humble starting screen, you might expect a shallow ride. Indeed, I thought it would take less than a half-hour like many indie games I find these days. So yeah, that didn't happen. This game has a lot of locations and pretty much nails every lesson you can learn about level design. 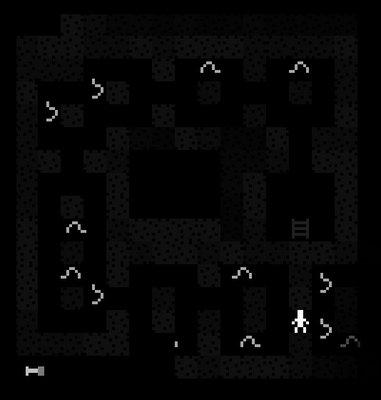 It introduces new obstacles and a new context to keep things fresh at every turn and slowly lets go of older ideas as you go; by the end of the game you don't even feel like you're *playing* the same one! But it never forgets the line of thread that is its control scheme. It knows exactly what it is and takes advantage of it. It also features enough twists in the... er... "plot" that I'm actually uncomfortable with potential spoilers. It's not often I see a game that can grow so deftly in context, that so consistently challenges the player by developing gameplay until the very end without tiring. Look, it's not for everyone (anybody who wants to die less than a hundred times should stay the hell away), but I can say that I really enjoyed it. It so easily transports me back to that old basement and simultaneously excites my grizzled old brain with such a sophisticated approach. I couldn't recommend it enough, especially for anyone that reads this site! The game is damn good but the 'alien' part is kind of frustrating. You have to grab two keys from two different rooms but when you die you lost both keys? 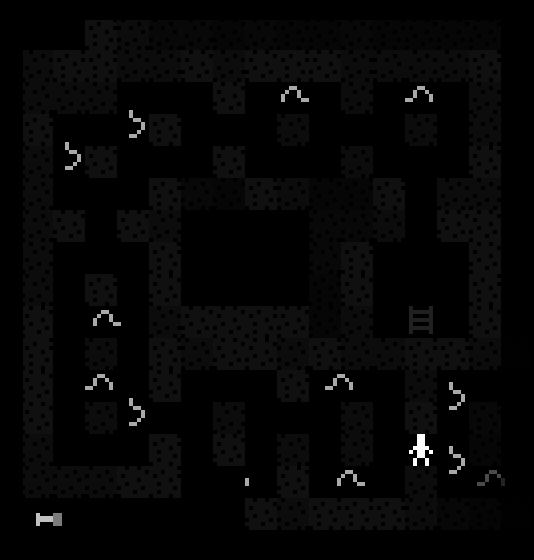 Each room are a lot difficult by itself, but that part made the game lost points to me. 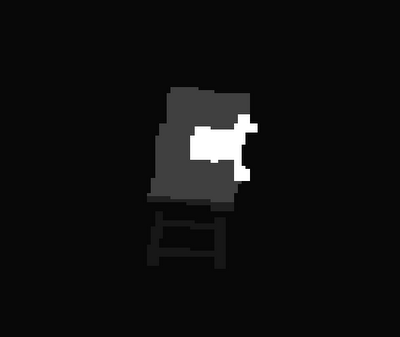 It has many things to be the one of my favorites indie games ever. It was surprising me all the time. I enjoyed playing this a lot. Time will show, but maybee my top game.